Porsche is recalling select 2018 Porsche Macan S and Macan vehicles. The vehicles have a control unit that may fail to increase the risk of a crash. Kia is recalling select 2015-2018 Kia Sedona vehicles with power sliding doors. The door may not auto-reverse causing an increased risk of an injury if someone is blocking the door. 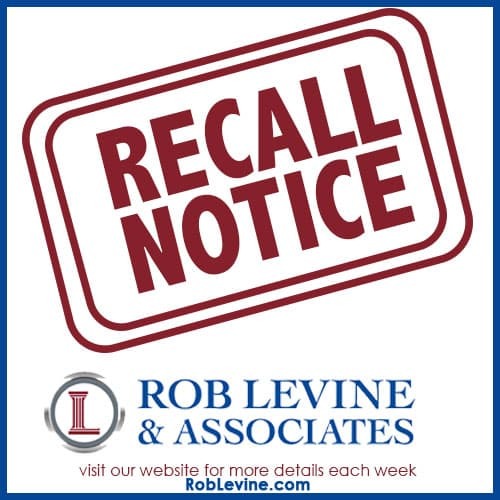 Audi is recalling select Audi S5 Cabriolet vehicles including Super Sport seats. The airbag may not be folded correctly in the front passenger seat and may deploy improperly during a crash. Volkswagen is recalling select 2018 Volkswagen Tiguan long wheelbase vehicles. The lower ball joint may become separated causing steering and traction issues. GMC is recalling select 2018 GMC Terrain vehicles. The sensor that deploys airbags during a crash may become inoperative, increasing the risk of a crash.